The Google Press Center just made an announcement about Google Friend Connect. 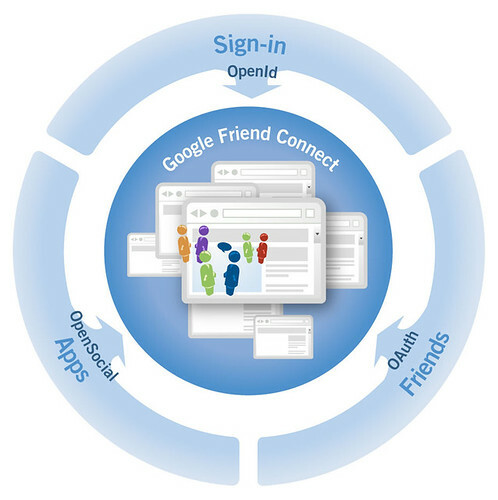 Here's what Google Friend Connect entails. I love this idea. I don't know if it will stick, but I'm going to implement Google Friend Connect right here, just for kicks. Stay tuned. I've been waiting for something useful out of OpenSocial and this might be a good start. Let me know how it works out for you, I'll probably be playing around with it one its available as well.